What would you say if you heard of a chance of getting unbelievably stylish and fully-functional Bootstrap templates? What would you say if you heard that there are 35 of them included in a great bundle? It certainly looks like a pretty impressive offer. 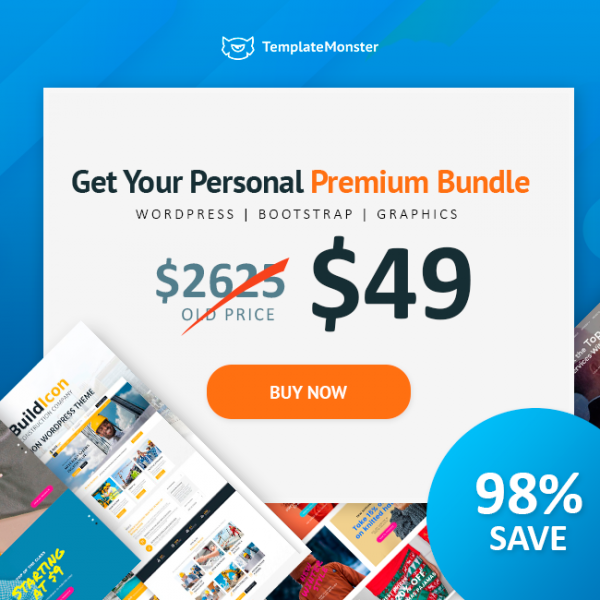 This extremely cost-effective solution that allows making multiple websites for a price of $49. No, you have read everything right. There is no need to spend $2625 on these ready-made solutions. Save 98% on them and create a wide range of marvelous website together with these Bootstrap templates!